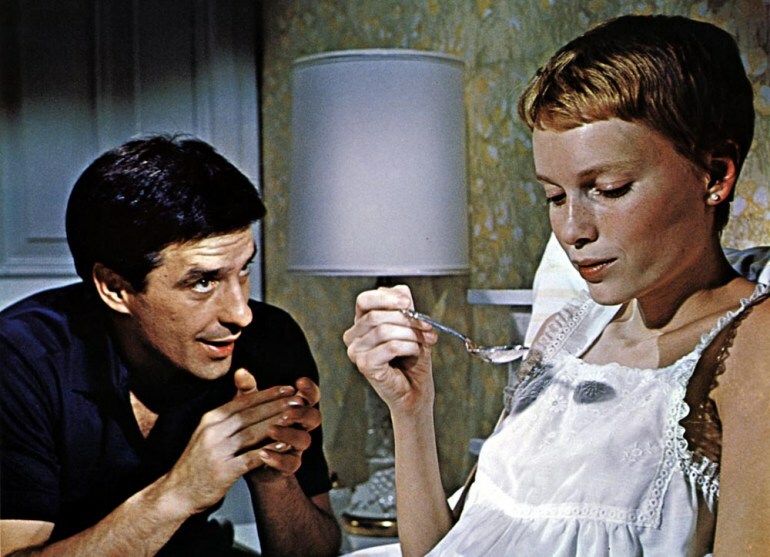 Roman Polanski’s Rosemary’s Baby, on top of making it into virtually every all-time top 10 thrillers list and propelling Mia Farrow, Roman Polanski and Robert Evans to stardom, is also reputed to be cursed. This inquiry takes a look at the available evidence. William Castle, a producer and director known for his gimmicky, low-budget horrors, initially acquired the rights for its adaptation. He wrote a submission to Paramount to put Rosemary’s Baby on to the screen. The novel, written by Ira Levin and released in 1967, was a best-seller but at the same time regarded as a genuine masterpiece of literature. It was a horror novel but one full of ambiguity and mystery, unseen in this genre for years – fine material for a great, artistic movie. Bill Castle was, however, turned down by Paramount’s head of production – Robert Evans, who loved the novel and thought that it is too good for Castle to direct it, given his arguable reputation. Evans was at that time fascinated with Roman Polański, a director of European films like Knife in the Water and Cul-de-sac, who had just completed his work on an acclaimed thriller with Catherine Deneuve – Repulsion. He lured him to America and his office with an offer to direct Downhill Racers, a big action film project fitting perfectly with Polański’s passion for skiing and racing. 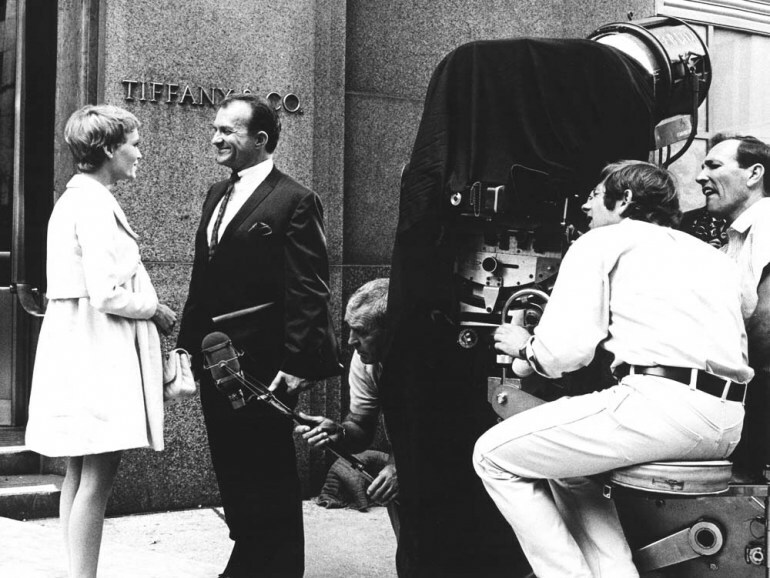 At the very end of the meeting he handed a copy of Rosemary’s Baby to Polański and said, “Please read it as well, first…” The very next day, it became a fact that Polański was to direct Rosemary’s Baby, with William Castle as a producer, and making a cameo appearance in the film. I've always been a gambler; I've always taken risks. Anyone who says you will always win if you take a risk is a liar, because it's not a risk then. 2. Eruption of Creativity on the Set. Both the novel and the film are narrated from a first-person perspective so choosing the actress to play Rosemary was a crucial task. Again, despite Polański’s strong insistence on casting Weld Tuesday, Evans got it his way and convinced him to make another risky move and hire Mia Farrow, a 23-year-old who, at that time, had no experience in artistic cinema and was known mostly for TV series and being Mrs. Sinatra. Again, Evans’s gamble paid off exponentially. Roman wouldn’t say ‘Look, this scene is about this, I want this from this scene’. [Mind that] he is an actor, and a fine actor, so he would act out the scene. He does it in a way the might be extreme but you totally get what he wants. (…) When you are doing a scene [with Roman] and you are lifting a glass, if your glass is to the right eighth of an inch, he would stop and ask you to do it again, pursuing the exactness of the scene he wanted. Polański experimented a lot and constantly put Mia in unconventional situations. One day, he took over the camera to shoot a scene of Rosemary half-consciously crossing a busy New York street. Because they did it on an unclosed street, people were staring at them, car drivers beeped and drove by inches away, giving the scene an omnipresent feeling of chaos and threat. Thanks to hundreds of ideas like this one, Mia created an unforgettable character and contributed to Rosemary’s Baby being as good as it is. The whole film reflects Roman’s vision. And I think that in other hands we would have a very, very different film. I think that masterfulness of this film comes out of Roman. – Mia Farrow. 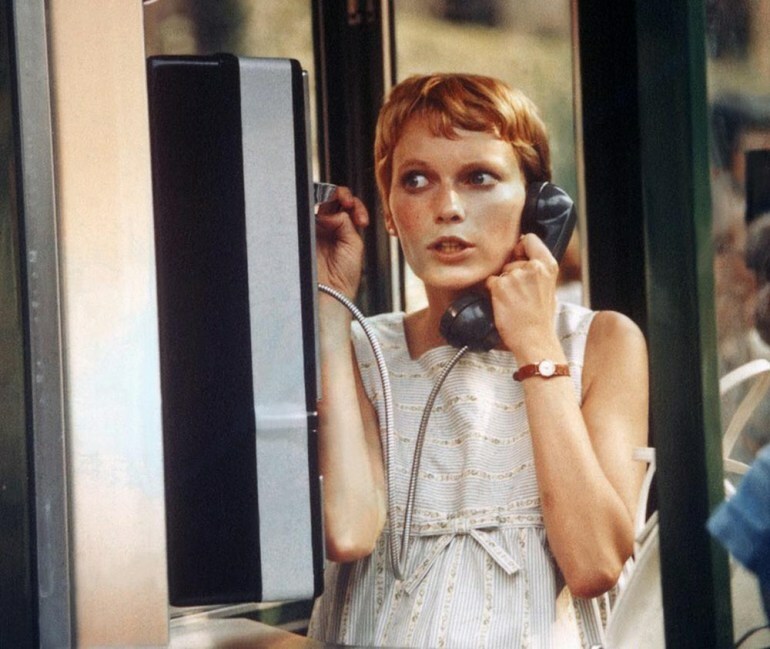 Rosemary’s Baby has one more secret weapon – its original soundtrack composed by Krzysztof Komeda (credited as Christopher Komeda), who had been Polański’s favourite composer and companion for many years. 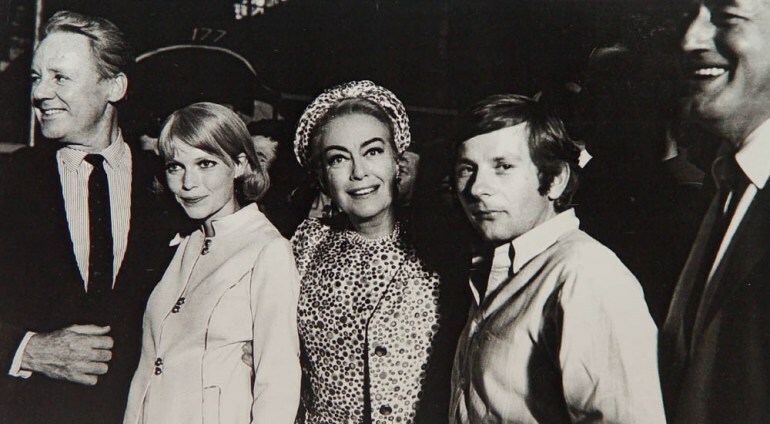 By 1968, they had already cooperated on Polański’s early Two Man and a Wardrobe as well as on his first full-length film and evergreen the Knife in the Water, and another hit – Cul-de-sac. The main musical theme of the film is Rosemary’s Lullaby. The simple melody, with no lyrics, sang in a childish unsteady voice, slightly out of tune, was to become a classic in its own right, a song which gives goosebumps even if listened to in a safe place. 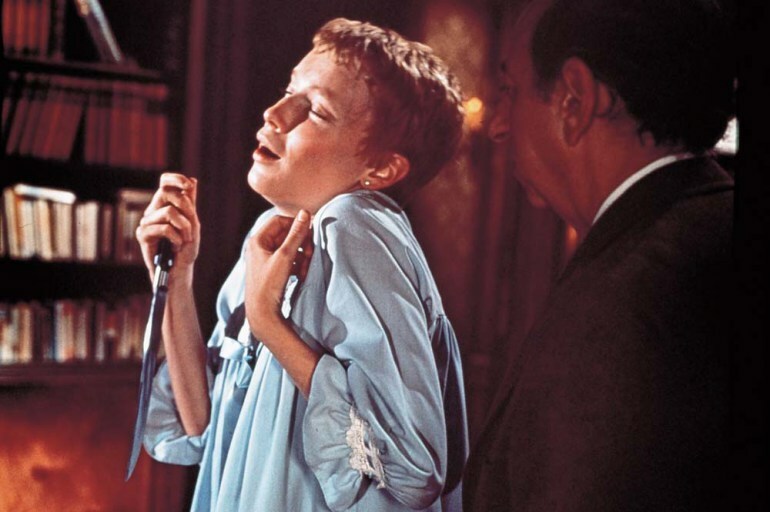 Mia Farrow sang it herself so a careful viewer would immediately associate the voice with the main protagonist. The lullaby theme appears several times in the movie, in a different variation and form each time, adjusted to the tension of the actual scene. Komeda’s music is the factor which makes you hold your seat’s armrest tight from the very beginning of the film. From the opening scenes there is so much of skin-crawling tension and creeping chaos and threat that even the Woodhouses' bright and well-lit apartment becomes scary. Music is a sort of prophecy of the devilish complications that are to come and it reveals the true nature of the cursed Bramford building. 4. The Devil Was Not Only in the Details? Rosemary’s Baby has long been regarded as cursed. Where did it come from? It could have been because it was one of the first thrillers that told the story of the Antichrist in such a realistic way. The fear does not come from special effects nor from zombies chasing protagonists. The story is only one step away from everyday life, and it’s typical human weakness that entangles the protagonists in the occult plot. William Castle, the film's producer, received many death threats from people who claimed that by making the film he ‘brought evil on Earth’. He died of a stroke, aged just 63. Roman Polański’s wife and some of his friends were gruesomely killed by Charles Manson's cult in one of the most brutal and inexplicable murders of the 20th century. Mia Farrow got the divorce papers from Frank Sinatra on the set and it was her engagement in the film that struck the final blow in her marriage with the famous singer. Her life, despite a marvellous professional career, has been full of tragic happenings and deaths of her loved ones. Robert Evans, the head of production at Paramount Pictures, was strongly involved in producing the film, has survived three strokes and was accused of murder. The accusation has almost ruined him his career. The scary Gothic Dakota building, which was used for outdoor shots of the building where the protagonists lived, has witnessed a murder by a fanatic. John Lennon was shot in the gate filmed in the opening scene. Krzysztof Komeda slipped of a cliff in L.A. in mysterious circumstances. He fell into a coma and died a few months later, awaking only once, when Rosemary’s Lullaby was played to him. There are plots against people, aren’t they? Author: Wojciech Oleksiak, 26 March 2015. Sources: Internet Movie Data Base, Filmweb.pl, Vice.com, Wonders in the Dark, Terrortrap.com, Culture.pl.